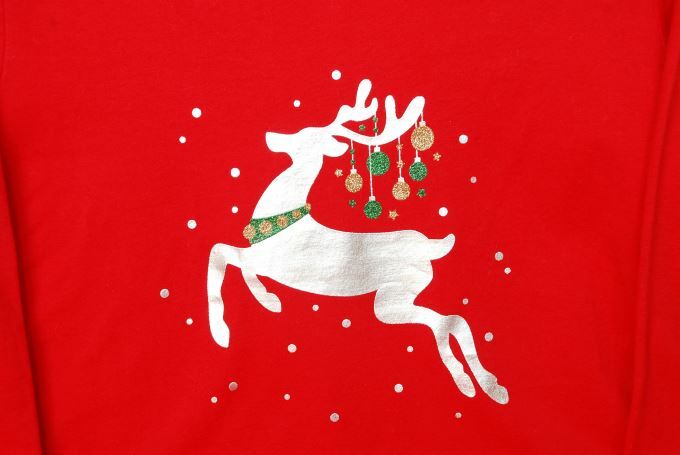 I really like the Christmas reindeer on this red tee, it was just stunning. 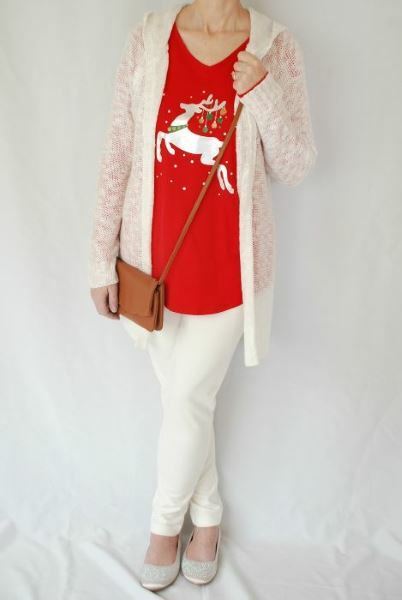 So, I decided to highlight it with a winter white hooded casual cardigan and pants. I love the shiny gold on the reindeer. All of the glitter on his ornaments and collar are so eye-catching. So here is a look at the combined outfit. 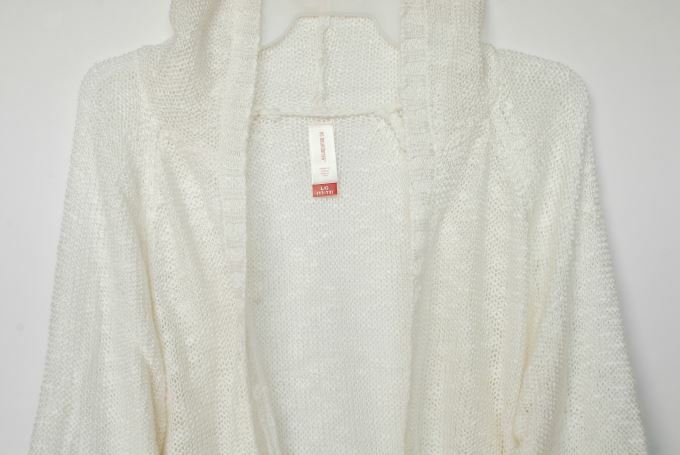 I loved this soft, delicate, and see-through cardigan. It has a hood but no pockets. I usually wear a medium, but I’m ok with this larger juniors size — because it’s very roomy. 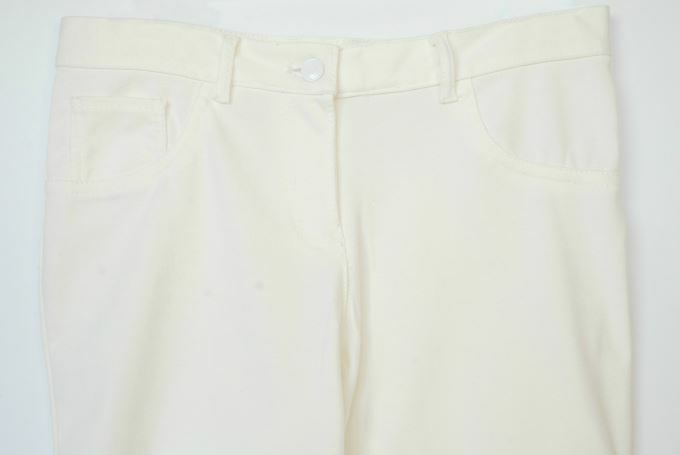 So surprised to find these winter white pants. They’re definitely slimming. 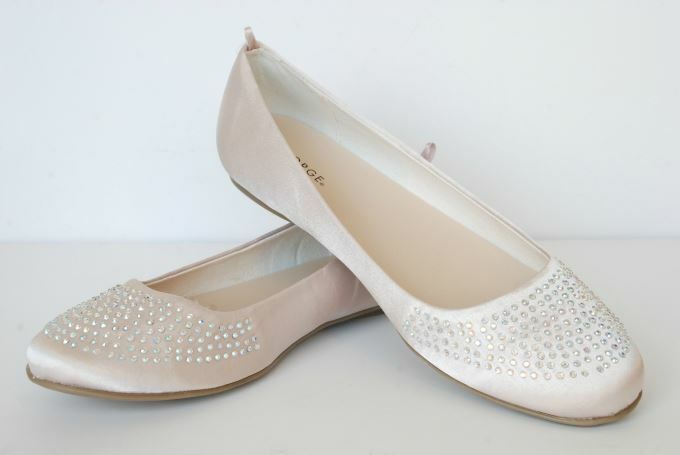 Don’t freak out but these are girls shoes – aack! They were a size 6 in girls (but fit me the same as a women’s size 8). But I didn’t care what “age group” they were in. They fit and went really well with this outfit. The faux gems on the top are so nice with the satiny material. I didn’t want a matchy gold purse, but a brown faux leather purse. 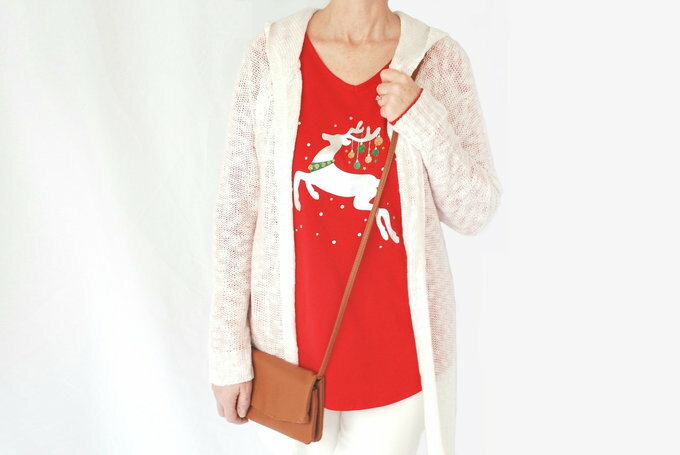 The 24” strap doesn’t adjust so it’s a crossbody purse. 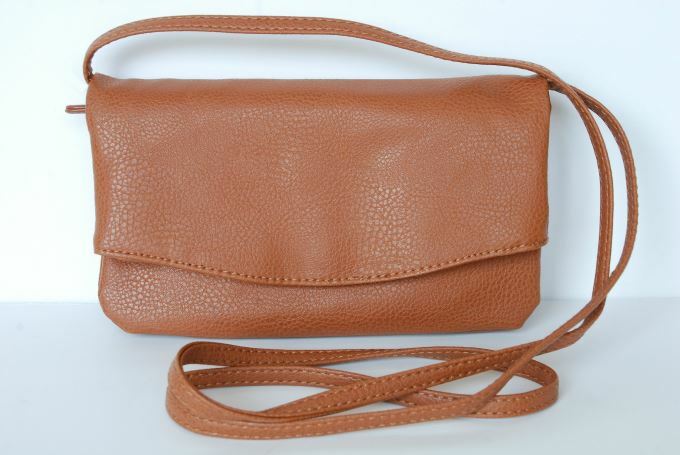 It’s about 5 x 8½” with two zipper compartments, an open pouch, and a magnetic closure.